Rani ki Vav (queen's stepwell), in Gujarat's Patan town, has been added to Unesco's list of World Heritage sites, an official statement said Sunday. "Rani ki Vav has been approved for inscription on the World Heritage list," said a statement of the ministry of culture, adding that the decision was taken by Unesco at the World Heritage Committee session currently on at Doha, Qatar. It was nominated by ASI for the World Heritage List of UNESCO in Feb. 2013. The process of nomination of Rani ki Vav and the management strategy presented for the property and Buffer Zone as per Operational Guidelines of UNESCO can be credited to excellent teamwork between the Archaeological Survey of India and the State Government of Gujarat. The dossier was prepared by an in-house team of experts within the ASI and vetted by the Ministry of Culture through its Advisory Committee at various stages. The State Government of Gujarat supported the protection of Buffer Zone as a protected area in the Development Plan. They worked with ASI officials to mark the around the Rani ki Vav including the excavated area of the historic Sahastralinga Talao under ASI as well as the unexcavated areas of this Talao which falls under agricultural fields for future protection in the Development Plan. The initiative of additionally protecting surrounding area around Rani ki Vav with its inclusion in the Local Development Plan is an exemplary example of integrating heritage with planning and needs to be emulated for heritage sites across India. The inscription of Rani ki Vav on the World Heritage List as the single most example of a step well is a testimony to the traditional water systems of India. The local residents of Patan who were engaged actively in the process and provided full support to ASI and State Government in the process including its field evaluation by ICOMOS (the Advisory Body to UNESCO) deserve a special mention in achieving this target to place this stepwell on India’s World Heritage List. Rani-ki-Vav is situated about 2 km to the northwest of Patan district of Gujarat State. 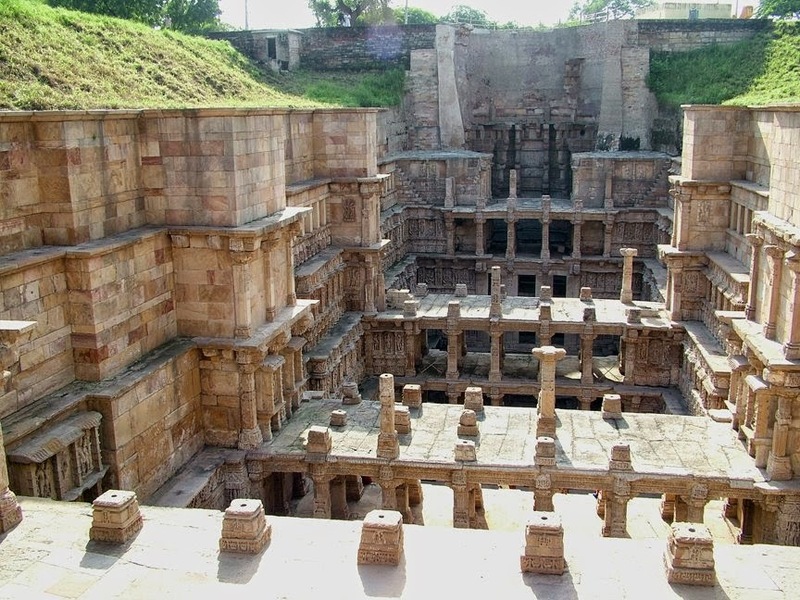 Rani-ki-Vav, a stepwell built in the 11th century is the most developed, elaborate and ornate example of a unique type of Indian subterranean architectural structure, and it marks the zenith in the evolution of stepwells in India. It is a particularly large and complex example of a stepwell, with seven storeys of ornamented panels of sculptures and relief representing the height of the Maru-Gurjara style. Following the flooding and disappearance of the Saraswati River due to geotectonic changes, the property was buried under layers of silt for almost seven centuries and has been preserved underneath in an exceptional state of conservation by the Archaeological Survey of India.